CNA is an abbreviation for Certified Nursing Assistant. When you are interested in becoming a certified nursing assistant, it is important that you carefully consider the requirements of the job. When this job is attained by the right person, it could lead to a career breakthrough in the field of medicine. Depending on the state you are looking to work in, a nursing assistant has a different scope of duties and titles. It is therefore also very important to first consider the state you intend to work in. This will help you know the scope of activities you are required to carry out and whether you are up to it. The guide below will give you all the information you need to know about CNA as a profession you can venture in. You have to go through an education program approved by the state. As mentioned above, to start your CNA careers, it is important to first consider the state you want to work in. This is because different states have different requirements for nurse assistants. These programs are offered by colleges, medical institutions, online training programs and even the Red Cross. Most of these programs can last 4-16 weeks depending on the place you are studying from. You have to pass an examination specific to the state you will work in. This is the requirement that has to be met so that you are a licensed as a CNA. Most of the examinations have practical and clinical aspects that the trainees have to pass. Get your first job. After passing the exam, you can start looking for a job, but you can only work under the supervision of a licensed nurse. There are a variety of options for CNAs to choose from. After that, you can the go back to school and further your studies. This is because some states have this as a requirement for CNAs. You can further your CNA studies in listed institutions and healthcare service providers. Is it possible to work as a nurse assistant without certification? This is one of the frequently asked questions today. 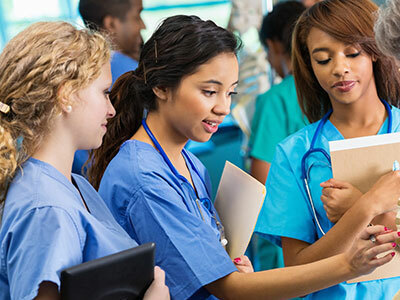 Nursing assistants are given certification to perform their duties when they have gone through the steps listed above and passed the examination. It is easy to get a part time CNA job when you are certified. Some of the employers today, however, are open to hiring CNAs without certification. However, when a person is employed without certification, they are not hired with the title CNA because it is considered illegal. The scope of services you are allowed to perform are also limited compared to the ones that a certified nursing assistant performs. Some states also limit the time that a nursing assistant can work without certification to 4 months. Bathing and dressing the patients. Serving meals to the patients and helping them eat. Gathering information on the conditions of the patients on behalf of the doctors and nurses. Noting down the vital signs that the patients manifest. Examine the urine, stool and even other injuries that the patients may have. Turn the patients that are bedridden and cannot turn on their own. Help the doctors and nurses to lift the patients onto the bed, the examination tables and even onto wheelchairs. Stock the patient’s rooms with fresh supplies including food, medicines and even bedding. The Certified Nursing Assistants can also serve as a conduit between the patients and the doctors and nurses. They can keep records of the patient’s issues and communicate them to the doctors and nurses. Setting up the nurse’s or doctor’s equipment. Dressing the wounds of the patients and cleaning them. In some states, the roles and duties of nursing assistants also involve transporting the patents to and from the operating rooms among others. Where can entry-level CNA work as a beginner? CNA hospital jobs are the top choice for many because they are able to interact with certified nurses and they are also able to get good benefits. With CNA hospital jobs, there are also many categories for you to choose from such as paediatrics, emergency, obstetrics and even surgery for more experience. Hospital CNA jobs can also be a source of fun for the CNA beginners and they can sue the hospital CNA jobs to further develop their career in medicine. This is also another opening that CNA beginners can work in. Actually, this is the place that most people think that this is the only place that CNAs can work in. However, this is a pretty good place for you to start as a CNA, because you are able to boost your confidence as you get more training. The job that CNAs perform at home health care centres can also be referred to as traveling CNA job. Home healthcare centres rely on the CNAs to provide health care services to the patient that prefer to stay at home. It provides a perfect opportunity for the CNAs to gather more skills and experience as it allows you to interact with the patient’s family as well. Agencies, like prime time are quite popular as traveling CNA job recruiters these days. Alaska: This is one of the best states that a nursing assistant may want to consider to work in. This is because Alaska is the leading state in terms of hourly rates that they pay to nurse assistants. Nursing assistants get an hourly salary of $18.04 in Alaska making it the best place to look for a nursing assistant job. New York: This is the second state in terms of the hourly working salary that they pay to the nursing assistants. In New York, a nursing assistant receives a salary of $16.49 In addition, New York comes in third among the states that have the highest number of openings for nursing assistants, having 98,040 openings every year. Connecticut: In terms of the hourly salary that nursing assistant get in Connecticut, it can be raked as the 3rd best state to work in. The nursing assistants get $15.45 and there are about 21,180 job openings in for nursing assistants every year. Hawaii: A certified nursing assistant in Hawaii receives an hourly salary of $15.38. There are only 5,500 openings every year for nursing assistants in the state because it is a small island with a small population. The demand for nursing assistants is therefore not great. Massachusetts: The hourly salary for nursing assistants is $14.88 and there are 30,960 openings every year. Some of the localities like Boston, Worcester and Springfield have a demand for nursing assistants throughout the year. The nursing assistants required here need to have high qualifications and experience leading to the high pay.